In our stress-filled world with ever increasing levels of anxiety, it would be nice if technology could sometimes reduce stress rather than just add to it. That is the problem that QMUL's Christine Farion set out to solve for her PhD. 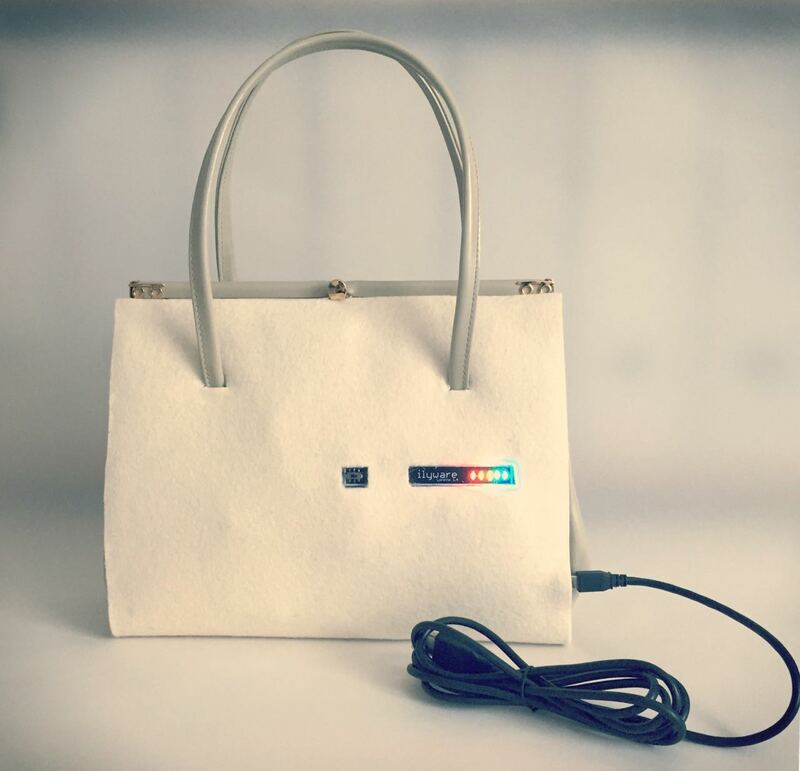 She wanted to do something stylish too, so she created a new kind of bag: a smart bag. Christine realised that one thing that causes anxiety for a lot of people is forgetting everyday things. It is very common for us to forget keys, train tickets, passports and other everyday things we need for the day. Sometimes it's just irritating. At other times it can ruin the day. Even when we don't forget things, we waste time unpacking and repacking bags to make sure we really do have the things we need. Of course, the moment we unpack a bag to check, we increase the chance that something won't be put back! Christine wondered if a smart bag could help. Over the space of several years, she built ten different prototypes using basic electronic kits, allowing her to explore lots of options. 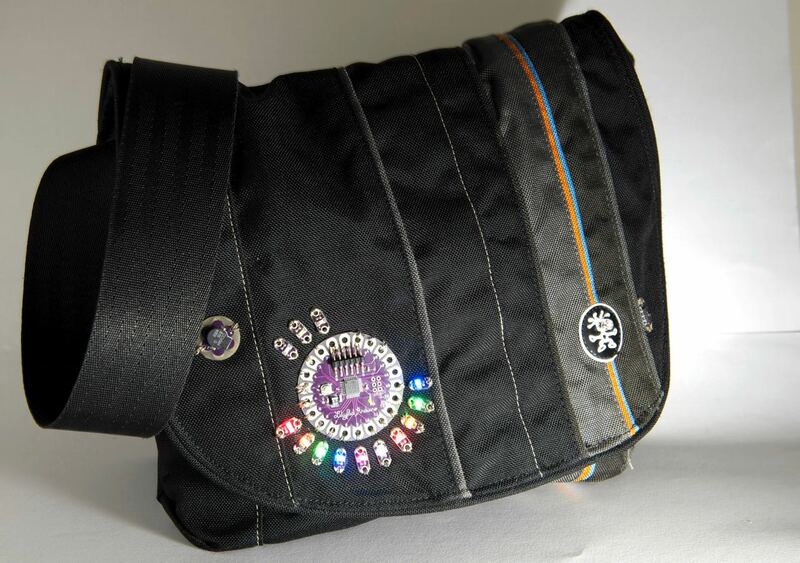 Her basic design has coloured lights on the outside of the bag, and a small scanner inside. 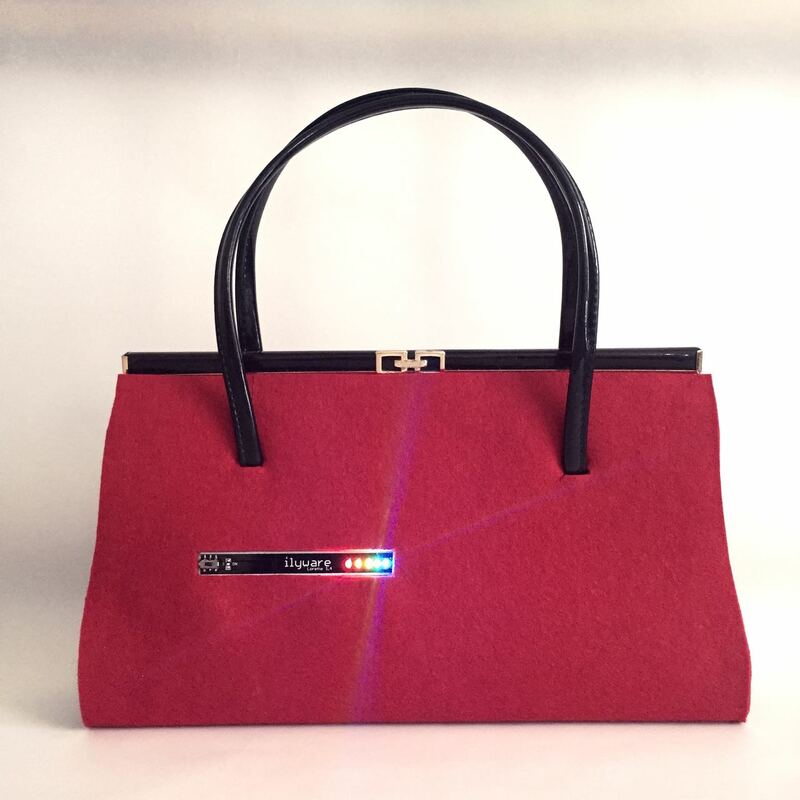 To use the bag, you attach electronic tags to the things you don't want to forget. They are like the ones shops use to keep track of stock and prevent shoplifting. Some tags are embedded into things like key fobs, while others can be stuck directly on to an object. Then when you pack your bag, you scan the objects with the reader as you put them in, and the lights show you they are definitely there. The different coloured lights allow you to create clear links - natural mappings - between the lights and the objects. For her own bag, Christine linked the blue light to a blue key fob with her keys, and the yellow light to her yellow hayfever tablet box. You scan the objects with the reader as you put them in, and the lights show you they are definitely there. One of the strongest things about her work was she tested her bags extensively 'in the wild'. She gave them to people who used them as part of their normal everyday life, asking them to report to her what did and didn't work about them. This all fed in to the designs for subsequent bags and allowed her to learn what really mattered to make this kind of bag work for the people using it. One of the key things she discovered was that the technology needed to be completely simple to use. If it wasn't both obvious how to use and quick and simple to do it wouldn't be used. Christine also used the bags herself, keeping a detailed diary of incidents related to the bags and their design. This is called 'autoethnography'. She even used one bag as her own main bag for a year and a half, building it completely into her life, fixing problems as they arose. She took it to work, shopping, to coffee shops ... wherever she went. When she had shown people her prototype bags, one of the common worries was that the electronics would look suspicious and be a problem when travelling. She set out to find out, taking her bag on journeys around the country, on trains and even to airports, travelling overseas on several occasions. There were no problems at all. As a bag is a personal item we carry around with us, it becomes part of our identity. She found that appropriate styling is, therefore, essential in this kind of wearable technology. 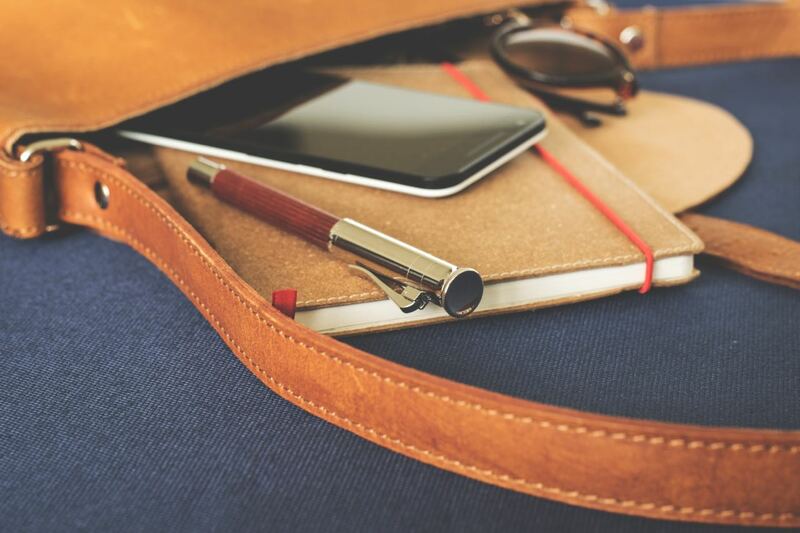 There is no point making a smart bag that doesn't fit the look that people want to carry around. This is a problem with a lot of today's medical technology, for example. Objects that help with medical conditions: like diabetic monitors or drug pumps and even things as simple and useful as hearing aids or glasses, while 'solving' a problem, can lead to stigma if they look ugly. Fashion on the other hand does the opposite. It is all about being cool. Christine showed that by combining design of the technology with an understanding of fashion, her bags were seen as cool. Rather than designing just a single functional smart bag, ideally you need a range of bags, if the idea is to work for everyone. Now, why don't I have my glasses with me?